DIVERGENT. Hmmm. What to say about this film, based on a wildly successful set of Young Adult books by Veronica Roth which I have not read, and which from the look of this film are unfortunate enough to sit in the shadow of THE HUNGER GAMES. To wit, we are in an American dystopian future with people oppressed by some kind of self-elected elite. Our plucky heroine, Tris (Shailene Woodley - THE DESCENDANTS) is much like Katniss, someone of unusual talent and resourcefulness competing in a a kind of martial game to break through into some kind of better future. In this case, the citizens of the world are categorised by their dominant personality trait. Tris, in true Harry Potter style, sits uneasily across the thresholds and opts to leave her parents 'house' Abnegation for Dauntless, while her brother opts for the Erudites. What follows are training challenges that play out much like Games, and a good dose of romance with the enigmatic but hot "Four" (Theo James). Naturally, Tris hooks up with a bunch of the least promising trainees, and guess what, they eventually come out on top after banding together and being nice. Ultimately there is some kind of showdown in the first strike in a civil war between the factions. There's meant to be a hugely emotional moment but at this point I was so numb to it, it floated right by me. I just didn't care about the people, the fight, and the whole movie felt like a pale shadow of HUNGER GAMES. Maybe that's unfair - maybe if I'd seen or read Divergent first I wouldn't have felt so turned off. But it is what it is. Shailene Woodley is a great actress but somehow a soupy romance with Four plays far more simplistically than the complex triangle comprised by political exigency in THE HUNGER GAMES. Or maybe it's because THE HUNGER GAMES pushes the dystopian fantasy farther and crazier - Effie Trinket, I'm looking at you - or that it's satire on modern pop culture is more biting. Whatever the reason, DIVERGENT feels very, very thin by comparison. 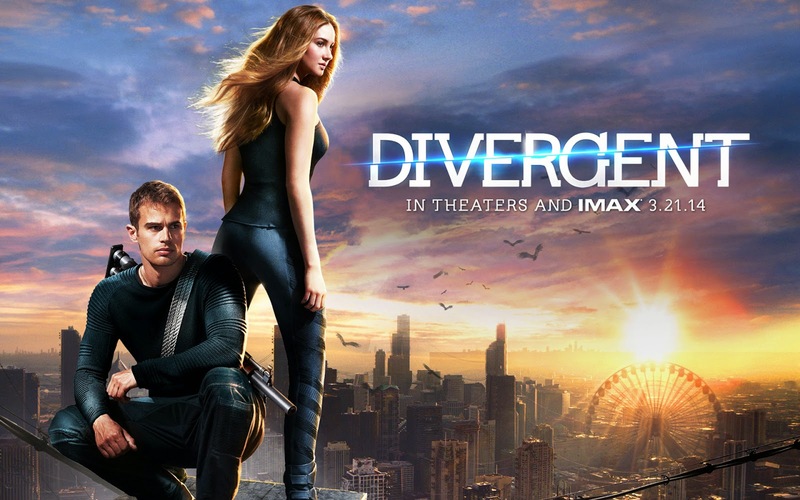 DIVERGENT has a running time of 139 minutes and is rated PG-13. It is available to rent and own in most countries. It opens in China on September 8th.